On Tuesday, during a meeting with the heads of Russia's major internal defense and law enforcement agencies, President Vladimir Putin announced the creation of the National Guard – a powerful new paramilitary unit charged with combating terrorism and organized crime and maintaining social order. A pertinent bill was submitted to parliament on Wednesday. 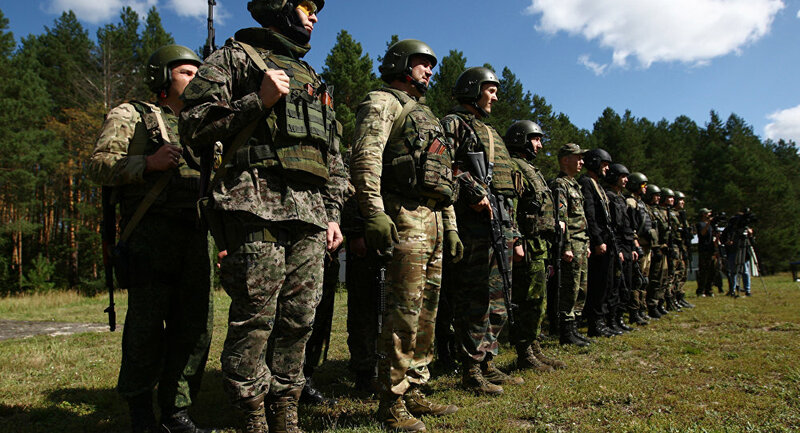 Igor Korotchenko, editor-in-chief of Natsionalnaya Oborona (National Defense) journal, believes that the National Guard will focus on fighting international terrorism. “The National Guard is being created to prevent and combat existing and future threats, above all international terrorism, which is rearing its head in the South Caucasus and Central Asia. A series of attacks there by the so-called ‘Terror International’ could spill over into Russian territory, and the National Guard will be able to respond to such a threat. This is the main reason it is being established, it is a preventive measure,” Igor Korotchenko told Radio Sputnik. Alexander Perendzhiev, a Moscow-based political scientist, hailed the proposed reform as means of streamlining state control in the field of national security. “We need to draw a clear line between police functions and military operations against organized terrorist and criminal groups. The National Guard will be able to fighting organized crime, armed groups and terrorists,” Perendzhiev told Radio Sputnik. In addition to the formation of the new service, Putin announced that Russia's Federal Migration Service and the Federal Drug Control Service would be merged into the Ministry of Internal Affairs, which already has ample experience in dealing with both drug crime and issues related to migration.